A weed cookbook's release party ... with pot-infused samples? Only amid the 420-friendly crunch of Boulder, Colo., will you find a luncheon celebrating the release of a new marijuana cookbook — with infused samples from one of the book’s recipes being handed out to attendees. 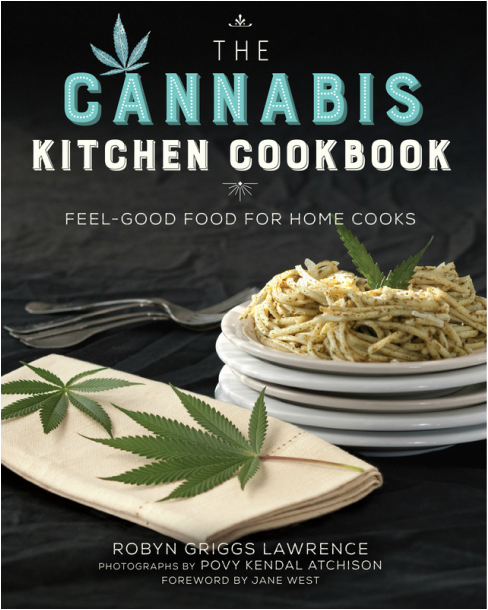 The historic Highland City Club in Boulder will host a luncheon and presentation to mark the release of Robyn Griggs Lawrence’s “The Cannabis Kitchen Cookbook” from 12-1:30 p.m. Oct. 27. Tickets to the event, $25-$35, are available via the Highland City Club’s website and include a non-infused lunch as well as short talks by Griggs Lawrence, Women Grow founder Jane West and the Holistic Cannabis Network’s Donna Shields — as well as a sample of one of Griggs Lawrence’s infused dishes. As cities continue to struggle with issues surrounding the public consumption and social use of cannabis, some entrepreneurs are figuring it out on their own. West has deep history in this space, given her busy 2014 calendar of throwing high-end weed parties and her work this year advocating for the social use measure in Denver that was eventually pulled by its creators at the last minute.